***NEW Oleg Cassini Beaded Lace Wedding Dress with Pleated Skirt / Size 12*** I ordered and bought this dress from David&#39;s Bridal. 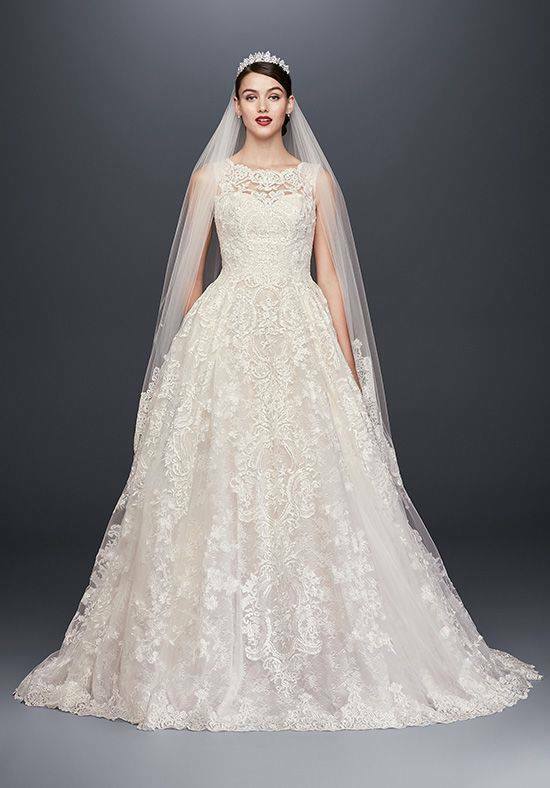 I loved it because of the beautiful lace detail. They only have ivory/champagne color in stores so I ordered it in white and it took seven months to arrive. In that time period, I changed my theme for the wedding. Although it&#39;s a beautiful dress, I need a more modern look to go with my wedding instead of this classic look. The dress is brand new and never worn with original tags. I paid $2,215 for this dress ($1,858 plus $357 in alterations - it&#39;s already bustled for you). I am asking for $1,500 but I am also willing to negotiate. Size: 12 Color: White More pictures available as necessary. This dress has pockets.